Penguin's yearly offering of outstanding essays and poetry on faith and spirituality. Every year, the acclaimed Best Spiritual Writing series offers readers the opportunity to explore the most intriguing work on spirituality published in the past year. 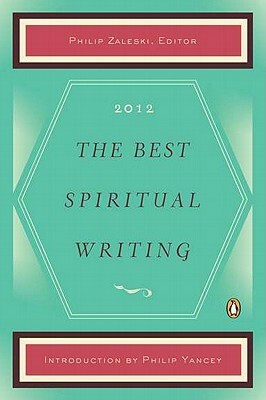 Featuring a splendid and varied selection, The Best Spiritual Writing 2012 is an elegant collection that gathers intimate, thought-provoking work by some of the nation's most esteemed writers, including Philip Yancey, Richard Rodriguez, and Robert Bly. Culled from a wide range of journals and magazines, these spiritual perspectives are expressed in pieces as diverse as the sources from which they've come. A favorite of book clubs, this makes a perfect gift for the holidays or special occasions. Philip Zaleski is the editor of the Best Spiritual Writing series and the author of many books. His recent titles include Prayer: A History (with Carol Zaleski) and a revised edition of The Recollected Heart. He lives in Massachusetts. Philip Yancey is the multimillion-copy bestselling author of a number of books, including What's So Amazing About Grace? And Soul Survivor.